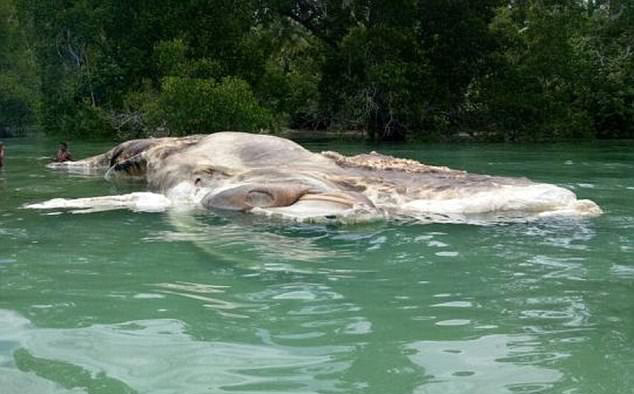 Home News	This gross creature just washed up on the beach in Indonesia! Stay calm folks, this could make you gag a bit. Pictures of a slimy awful looking sea creature spotted in Indonesia have surfaced on the internet today. The creature is dead, its carcass is HUGE and no one has a clue where its from. The slippery creature – measuring 15 metres in length and several metres in width – was spotted on Seram Island, Maluku. This “monster” as people are calling it is scaring the locals and all are flocking to the beach to stare at this amazing sight. Peeps are still confused and some theories claim that it’s a giant squid, which some say it could be a part of a whale. UGHSSSSS- “pulls covers over her head”. I don’t think I can sleep tonight! This girl locked herself in a room full of trash! Have you ever had a rat in your food before?